The Dakar-born singer and composer returns to BAM May 20 & 21 with his longtime band, Le Super Étoile de Dakar, and a tribute to Senegalese drummer Doudou N'Diaye Rose, who passed away last year. Context is everything, so get even closer to the show with this curated selection of related articles, sounds and videos. After you've attended the show, let us know what you thought below and by posting on social media using #YoussouNDOUR. Photographer Erin Patrice O'Brien captured the gorgeous audience before night one of Youssou NDOUR and Le Super Étoile de Dakar at BAM. NDOUR is one of over 200 musicians whose music is now streamable throughout Africa. The venerable percussionist was praised by Unesco as a “human living treasure” for his role in preserving Senegalese culture. A rich profile of the international music star, humanitarian, and one-time politician. NDOUR ran for the Senegalese presidency in 2012. NDOUR and Le Super Étoile de Dakar pay homage to late drummer Doudou Ndiaye Rose. NDOUR takes a selfie in this recent video. NDOUR sang backup on Gabriel’s classic track. The posthumous honoree of NDOUR’s show, Senegal’s best-known percussionist leads this tight West African drumming orchestra. What did you think? Were you familiar with Doudou N'Diaye Rose before the show? Transported by NDOUR’s soaring tenor? 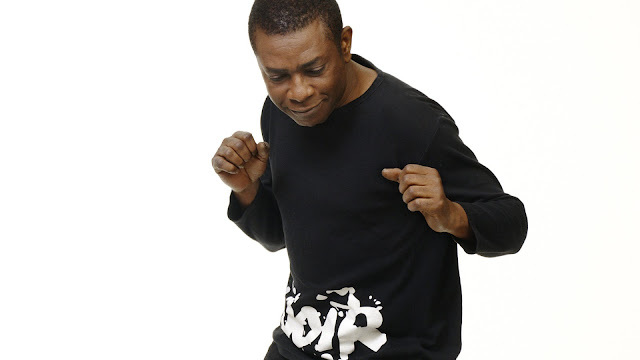 Tell us what's on your mind in the comments below and by posting on social media using #YoussouNDOUR. Amoul morome! (He has no equal) I've seen Youssou N'Dour in concert approximately 8 times, both here in NYC and in Dakar (and I'm only 30 years of age)--including his massive New Year's concert on Jan 2 at CICES in Dakar, and this was easily the best show of his that I've seen. Super Etoile, as always, was tight, with incredibly sharp and complicated arrangements. I only wish that Pape Moussa had danced more. I was so glad that there was more mbalax than "world music" this go 'round, and the spirits of Pa Vieux Sing and Pa Doudou were definitely present within the crowd (the Senegalese folx, at least) and emanating from the stage. It seemed evident that the passing of both last year has really impacted the band and its musical approach (particularly Mbaye Dieye Faye and his drumleading)--the results have been beautiful. Bravo!